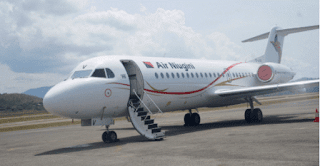 Papua New Guinea Acting Police Commissioner Raphael Haufolo has expressed deep concerns over the safety of travelling passengers following an incident early this month in an Air Niugini international flight to Singapore. Haufolo said the seriousness of this incident warrants the need for all relevant government agencies to meet to put in place measures to prevent such an incident from occurring again. He said the appointment of air marshals is one such measure that could be considered. “We have been hosting and will be hosting major international events and we must demonstrate to the travelling public that we are serious about their safety,” Huafolo said.